Today is National Pet Obesity Awareness Day. Pet obesity is a large problem in our country. In a survey done by the Association of Pet Obesity Prevention last year, it was determined that 55% of cats and dogs in the US are overweight. For more information about National Pet Obesity Awareness Day, please visit The Association for Pet Obesity Prevention. 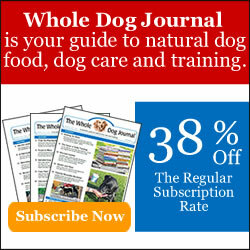 For motivation to get yourself and your dogs out and active, consider joining PetsMove.org. This is a wonderful community where you can track your dog’s diet and exercise, join groups to share advice and encouragement, win prizes, and even get on TV! This is a great place to go to help you achieve your goals, whether they are big or small. Lastly, please visit SlimDoggy to see the infographic they shared today on pet obesity. It is full of important and interesting information on this subject! You did a great job on the graphic…having fin and staying fit! Great post! My guys all love the walks and play time, but strangely enough, none of mine like to swim, even Toby the Lab. Thank you, Donna. Oh gosh, even our beagle Cricket likes to swim, but we just don’t take her that often. Kobi barely likes water though. I would have expected at least for your Toby to love it….our lab mix Maggie was quite the swimmer too. But our other golden retriever, Moses, would not swim…he would wade in and that was it. I guess a lot of it is their personality, not just their breed! SlimDoggy did such a great job with the infographic. I didn’t know about this day until I read about it yesterday. October is a busy month with all the different things going on, it’s hard to keep track of it all! Great post! Fitness for us means fitness for our Humans too…the plus…we’ll all live longer! Thank you! It really is great that we all help each other out, isn’t it, Hawk? Exercising with my dogs makes it so much more enjoyable, especially knowing it’s good for all of us. You guys sure get up to lottsa fun!! I love how you put those pictures together! I agree, obesity in pets is something to be really concerned about. Thank you! It’s only my second collage, and I was pretty pleased with how it came out. I think raising awareness is key, getting people to understand how important it is to their pets’ health. Great post – I love your collage and how you work to your individual dogs needs – that’s great and so important. Glad to hear you enjoy PetsMove – it’s really catching on and I think everyone is having fun earning PAWS! Thank you! We’ve really been trying hard. I’m starting to feel my competitive side come out with PetsMove, but I’m just not sure we can catch up with some of the real canine athletes out there! But we’ll have fun in the process! Totally agree- we shared the same messages, plus a few ideas for getting active today. We definitely covered it all between the two of us, I think! Thank you, Jackie! We do our best to keep it that way! Awesome blog post! 😀 I love the pics and activities you do with each dog. It’s great they each have their own daily routine! Thank you! It’s challenging sometimes to find the time for them each to do their own thing, but we work it out! Yours is one of the best, Emma! You set a great example for the rest of us! We exercise for miles every day! Wooooooowooooooooo! Awesome, Ku!! You and your sister both look very fit and healthy! There are few creatures more repellent than a fat Poodle so we keep the weight even. Fat beagles are right up there too! Good job, Jan.